Horticulture vs. Botany: Is There Any Difference and Similarity? 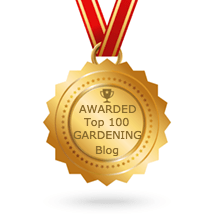 >> Horticulture vs. Botany: Is There Any Difference? Regardless whether you are interested in pursuing a career that involves caring for and studying about plants or you just what to solve this dilemma out of curiosity, it is important to realize that these two concepts are not the same. What is the difference? Well, there are several crucial differences and some similarities, you will understand only if you understand the essence of both of them. In the following text, you will get all the information you need to finally separate these two and learn the differences in the debate – Horticulture vs. Botany. What kind of education do you need to become a horticulturist? Which career can you pursue with a degree related to horticultural science? What kind of education do you need to become a botanist? Which career can you pursue with a degree related to botany? Finally, how are botany and horticulture different? As you see, horticulture has affected our lives on a daily basis, because it is providing us with healthy food and a pleasing visual enjoyment. Additionally, by being essential for the landscaping of city parks and public gardens, it also promotes recreational activities. However, there are some factors that affect horticulture as well. Those are light, humidity, temperature, precipitation and the quality of the soil. These are the factors that horticulturist has to consider when planting and nurturing the plant. To become a qualified horticulturist you will need to pursue a diploma in agriculture science. There are a lot of colleges offering such programs. If you decide to enroll in one of them, you can try to get an internship or volunteer during the college, so that you can get more experience. However, some of the jobs in horticulture don’t require formal education. Although frequently confused with horticulture because it also deals with plants, botany is a science that studies plants, which includes genetics, physiology, structure, classification, ecology, and distribution. The plants which are the objects of botany are algae, fungi, lichens, mosses, ferns, conifers and flowering plants. Botany is a very broad scientific field, and the best way of truly understanding it is by focusing on one of the many sub-fields (e.g., only plant classification). This scientific field is of extreme importance for our society since it can increase and improve the supply of food, medicine, and building materials. Botany also has a huge potential in addressing the issue of air pollution and protect the environment. To become a botanist, first, you need to earn a Bachelor's degree in botany, biology or plant science where you will learn about chemistry, biology, genetics and plant anatomy. If you decide to focus your efforts on advanced research, you will need a doctoral degree in the field. A Master's degree will open you fewer opportunities than a Ph.D., but you will be able to focus on specific fields of botany, such as conservation, ecology or marine botany. 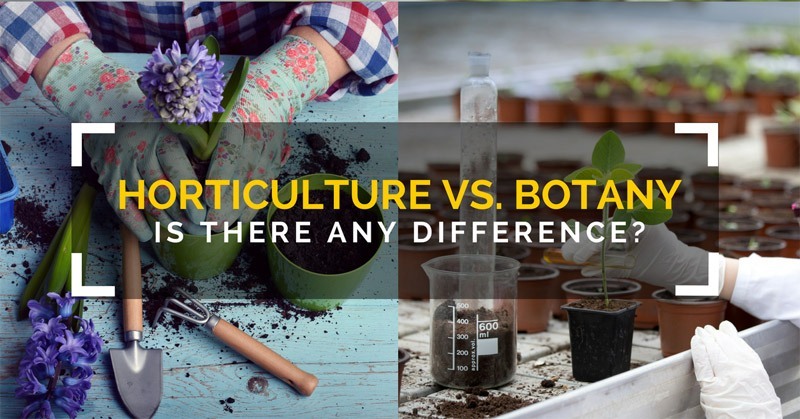 Now you know all the facts, and by now you are probably aware that botany and horticulture are not two sides of the same coin, but the main question remains: how exactly are they different? Bottom line is that botany is a scientific study of plants which includes studying the structure and physiology of plants and much more, while horticulture is more a combination of science and art with the purpose of cultivating and managing gardens and plants. Botany is a broad science which studies living plant organisms from the tiniest algae to the largest tree. Horticulture is more of an extension of botany, an applied science that focuses only on ornamental and edible plant life. While enrolling one of these two college programs means deciding for completely different career paths, it also means that you will be in touch with both of these sciences, because they have a lot of things in common. Horticultural science students, for instance, need to learn about the physiology of plants and plant taxonomy so that they would get better and deeper understanding of the culture and types of plants. Depending on the field of botany botanists work in, they may spend a lot of time in exotic places where they will be discovering new plant species. Horticulturists, on the other side, work in greenhouses or yards. Some of the job responsibilities of a botanist include tracking and locating new/endangered species of plants, working with the goal of restoring and conserving botanical habitats, following crop productivity and reviewing soil impact on the plants. A horticulturist is responsible for creating flower arrangements, plant trees, lay grass seed, mow and water lawns, build large outdoor arrangements, monitoring the growth of plants and designing landscapes. Because they require different educational backgrounds and experience, these professions also include different salaries, with the median salary for horticulturists being about $10,000 lower than the one for botanists. There is one crucial difference that can be read in between the lines but hasn't been mentioned in this article yet. In horticulture humans and plants intersect. It is a science about how we cultivate, nourish and use plants. Botany, on the other hand, is a science about plants, independently of humans.